Over half of young drivers cannot change a car tyre according to a survey from Intelligent Car Leasing. The survey found that 54.5% of young people in the 18-24 age bracket did not how to change a car tyre. Within the age group, 57.1% of young males claimed they could replace a tyre while only 34% of females said the same. Survey participants claimed a variety of reasons for their lack of knowledge from breakdown cover and run-flat tyres to saying that as a tyre change isn't a requirement for the driving test, they didn’t bother to learn how to do it. Intelligent Car Leasing said that young people were often given a hard time from older generations for being lazy, impractical and not as outgoing as they should be. The Driver and Vehicle Standards Agency (DVSA) has issued guidance to test examiners to make it clear that test candidates would not be penalised for driving below the speed limit. Responding to fear that examiners could potentially penalise test candidates where they respond to the road environment by slowing down – 20mph in a 30 for example – the DVSA clarified to make it clearer that the speed limit is the absolute maximum and does not mean it is safe to drive at that speed. Speaking to driving.org, a spokesman said that the amended guidance reflected the advice already given to examiners by the DVSA during training. Road safety charity Brake, which had initially raised concerns, welcomed the clarification. The update has been sent to examiners and will be available on the gov.uk site in due course. 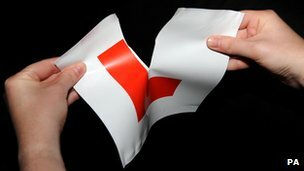 More than three quarters of experienced motorists would fail their driving test if they took their test today a study has claimed. The study, by Direct Line Car Insurance, found that 76% of drivers who failed a mock driving test recorded on average three serious or dangerous (major) faults, with one participant receiving 10 major faults. The mock tests, which were conducted by Red driving instructors in eight locations around the country, also found that the average number of minor faults recorded by those who failed was 16, with one driver receiving 42 minors. Further research by Direct Line found that more than two thirds of UK drivers (68%) rely on driving aids behind the wheel, with almost half (48%) of motorists stating that they use a sat nav. The survey also found that parking sensors were the third most commonly used driving aid, with a quarter (25%) of those surveyed saying they used parking sensors. The insurance company said that drivers’ over-reliance on car parking sensors could also be one of the reasons why a high proportion of test participants failed due to poor observation when reverse parking. Candidates with tests on 2 dates in February and March should still come for their test despite the threat of strike action by examiners. After a few years on the trot of sudden severe snowfall, Brits are beginning to get used to the idea of driving on the white stuff. But despite long-range forecasts and weather warnings from the emergency services, motorists are still getting caught out on the roads as gritting lorries struggle to keep up with demand. That’s why it does no harm at all to be reminded of the dos and don’ts of winter driving – follow these steps and you’re more likely to escape a scrape. If everything suddenly goes eerily quiet, the chances are you’re driving on ice. Black ice most often builds up on bridges and underpasses, where there is cold, wet air passing above and below the surface. Most modern cars have anti-lock brakes so if you lose traction, brake with full force and the on-board computer will do the rest. If you don't have ABS, lift your foot off the accelerator and smoothly point the wheels into the slide. It’s an oft-repeated myth, but reducing your tyre pressures will not help your grip on snow, say experts. “Your tyres are designed to function at a certain pressure and changing that could be dangerous,” says Adrian Tink of the RAC. “The most important thing is to make sure you have sufficient tread depth.” In Britain that means at least 1.6mm. In snow you should aim for 3mm. Leave an 8-second gap between you and the car in front. This applies to 4x4 drivers as well — they may find it easier to gain traction as they head out of a snowdrift, but they’ll have the same grip issues when stopping. Try setting off in a higher gear. This reduces wheel rotations, so lessening your chance of skidding. Go down through the gears to help you slow down, applying the brakes only intermittently. Pouring hot water over your windscreen could crack it. Don’t use your windscreen wipers either, as this will shred the blades. Use a de-icer and a scraper, and clear snow off the top of the car and tyres too. Get the lowdown on your route before you set off. Traffic information is available from AA Roadwatch online at http://www.theaa.com/travelwatch/roadwatch.jsp, on 84322 from your mobile or 0906 8884322 from a landline (calls cost up to 65p per minute at all times plus network extras). The Association of British Insurers says drivers aged 17-24 are responsible for a disproportionately high number of crashes. 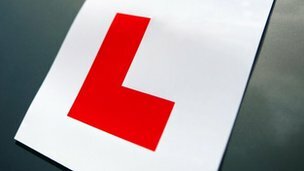 The Driving Standards Agency (DSA) is urging all driving test candidates booked to take a test on the afternoon of Friday 13 July 2012 to attend as usual despite the potential for strike action by driving examiners who are members of the Public and Commercial Services (PCS) union. “Not all examiners are members of the PCS union and even if they are, we can’t be sure that they’ll support the strike. So we’re asking candidates to come for their test as normal so it can go ahead if possible. Candidates who turn up but can’t take their tests because of strike action will not have to contact the DSA to rebook. They should hear from the agency with a new date within five to ten working days. If candidates fail to attend they won’t be able to claim out-of-pocket expenses if their tests are cancelled and they’ll need to rebook their own tests. Theory tests are not affected and will be taking place as planned. Transport minister Mike Penning told MPs the aim was to provide a "more local service for candidates". Tests will continue to be carried out by Driving Standards Agency examiners and the deals are not exclusive. Cheshire-based Mantra Learning and "several universities" are also in the running to host tests, he said. Mr Penning said in a written parliamentary statement there had been "real progress" with Halfords and Mantra. "Subject to working agreements being finalised and suitable premises with driving test routes being identified, driving tests should be delivered... from premises of these organisations in the near future," he added. "Local agreements with the Fire and Rescue Service, particularly in areas not otherwise covered, are also being explored and there have also been discussions with several universities." Mr Penning said it was "a great example of how working with partners in the public and private sectors can help to ensure that we offer people the best possible service wherever they live". Initially the tests will take place in parts of Glasgow, Kettering, Manchester, Watford and Worcestershire, starting this autumn at the earliest. These arrangements will apply for practical driving tests, not other types of test or the theory test. The Driving Standards Agency (DSA) wants you to have a look at samples of new hazard perception clips that have been computer generated. It means DSA can introduce hazards that would be hard to film safely – particularly those involving vulnerable road usersThe current clips were created by filming developing hazards in a variety of road and traffic situations using a specially adapted car with a camera. The hazards in them are still relevant, but the image quality is not as clear or defined as is available today.The Driving Standards Agency (DSA) have confirmed that they are in the process of updating the clips in the Hazard Perception Test, with the aim of introducing them into the test by the end of 2013. Driving instructors who are considered to pose a significant threat to public safety will now face immediate suspension under new legislation put forward in Parliament yesterday. Under the current legislation, it takes a minimum of 45 days to prevent an instructor from continuing to give paid driving instruction. However, from 13 July, the registrar of approved driving instructors will have the power to immediately suspend the registration or trainee licence of an instructor who presents a significant danger to the safety of the public. Road safety minister Mike Penning said: “Driving instructors play a vital role in helping to ensure Britain’s roads remain among the safest in the world. The registrar is likely to exercise the suspension power in cases where instructors have been convicted of a violent or sexual offence, or are delivering tuition of a dangerously low standard, while the formal removal or revocation processes are being completed. Instructors retain the right of appeal against a decision to remove them from the register of approved driving instructors or to revoke their trainee licence. The instructor will be able to apply for compensation in respect of the period of suspension if they are not subsequently removed from the register. COVENTRY city centre has this week become a 20mph zone – making it one of the first UK cities to do so. As part of the new changes signs will go up at 13 “gateways” into the city to warn motorists. The new speed limit will cover the entire area within the ring road and has been introduced alongside features such as the removal of traffic lights, 15 new zebra crossings, red “shared space” junctions and widened pavements which council officers say will make the city centre a “low-speed, pedestrian-friendly and more pleasant environment”. Coun Lindsley Harvard, cabinet member for city services, said: “We are working hard to create a city centre that is more attractive and more pedestrian-friendly. The new zone is said to be the first of its kind in the UK covering an entire city centre. It is the first to change road layouts and pavements to reduce speeds rather than relying on traditional road humps. Sue Senior, aged 65, of Baginton Road, Styvechale, agreed with the changes. “Anything that slows down traffic in the city centre is a good idea, otherwise motorists don’t slow down of their own free will,” she said. Sharing the same view was Michael Buxton, 57, of Midland Road, Stockingford, Nuneaton, who said: “There’s a lot of cars that use the city so I think 20mph is a good speed. A 20mph zone is unusual for a big city like this but it is quite sensible. Melanie Goodling, 42, of Fillongley, who works in the city centre close to one of the new road junctions, added: “There is nothing wrong with the 20mph zone. Edward Turrall, aged 19 of Binley Road, Binley, had a different view. He said: “I don’t think the 20mph zone is going to achieve anything. Telematics boss describes new aggregator as "unique"
Wunelli and Gocompare are set to relaunch telematics comparison site Comparethebox this week to let current telematics policyholders compare rival telematics propositions for the first time, according to Insurance Times. Other aggregators rank telematics policies alongside standard motor policies purely on price, but the new website will let consumers jump between telematics companies more easily. Users will need to have a telematics box fitted before they can use the website. Wunelli non-executive chairman Sandy Dunn said: "It will be unique because you aren't comparing apples and oranges, you are comparing like with like." Telematics based car insurance has led to a decrease of around 20% in accidents involving young drivers according to the results of analysis carried out by one of the UK's best known insurers. Tiger.co.uk investigates. Telematics or "black box" car insurance uses satellite technology to collect data on the actual driving performance of motorists, looking at areas such as acceleration, braking and the time periods when a vehicle is driven. This data is then utilised to calculate car insurance premiums. Analysis carried out by Co-operative Insurance that looked at 10,000 telematics insurance customers aged between 17 and 25 revealed that this group were 20% less likely to be involved in a crash than those with a standard policy. It also seems that drivers who opt to take out a telematics based car insurance policy have less serious accidents, as insurance claims from customers with a box fitted are typically 30% less than those without. Telematics based car insurance was first introduced in 2006 by Aviva. At that time the technology was still relatively new and as such quite costly to install. Since then many more insurers have started to introduce these products and car insurance comparison site Tiger.co.uk has been quick to ensure it can offer a range of these products to its shoppers. Andrew Goulborn, Commercial Director for the site, commented: "It is great to hear that telematics based insurance appears to be encouraging better driving habits among younger drivers. As evidenced by some analysis we carried out in April this year, this type of product appears to be growing in popularity not only among younger drivers, but across the driving population as a whole. Almost 15% of policy sales through our site are now accounted for by telematics products. The industry is predicting that the growth of these products will continue and as a comparison site we aim to keep on top of developments in this area and continue to offer shoppers a wide range of products. We are proud to say that we currently provide car insurance quotes from four telematics insurance providers on Tiger.co.uk and are in discussion with a further six providers about introducing their brands over the coming year."